Located on the 2nd floor of the hotel. 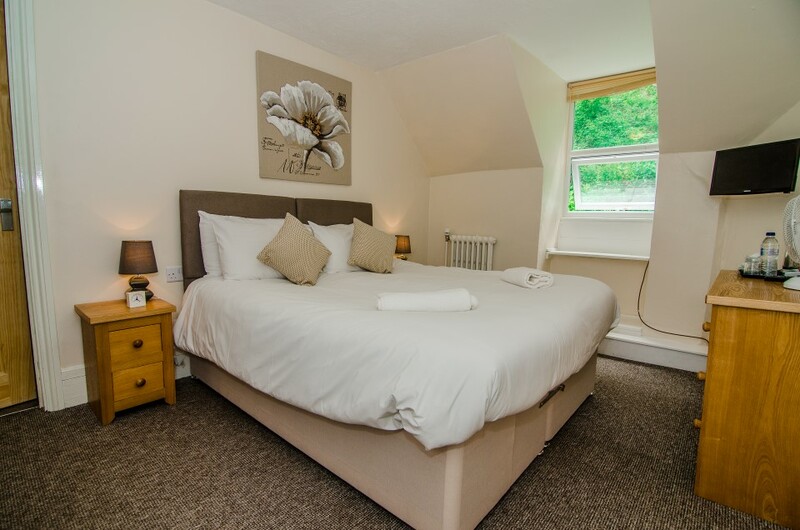 Hosts a 4ft 6” double bed, which can be separated making this room ideal for a double or twin occupancy. This room has a window overlooking the rear of the hotel into the woodland hillside. 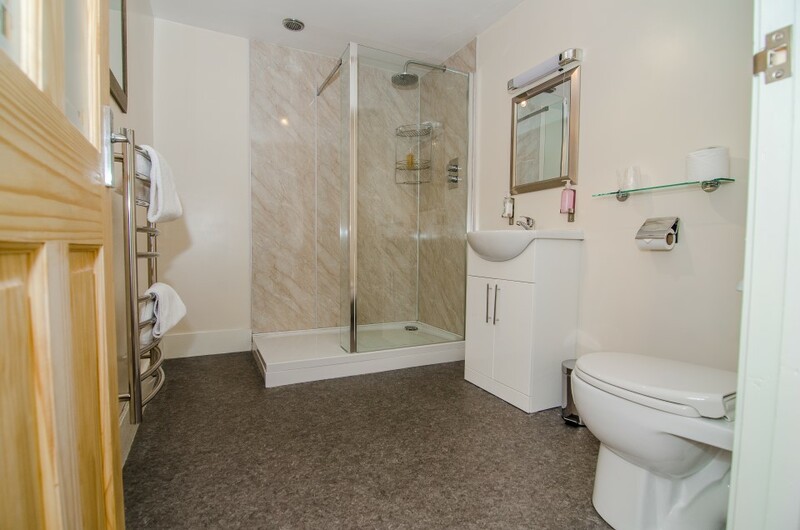 This room has a good sized bathroom with a shower, toilet and wash basin.